Attorney Richard A. DiLiberto, Jr., a partner in the personal injury section of Young Conaway Stargatt & Taylor, LLP, was re-elected as one of two Delaware state delegates to the American Association for Justice (AAJ) by his colleagues in the Delaware Trial Lawyers Association (DTLA), at the group’s annual meeting on June 22 in Dewey Beach. Mr. DiLiberto will serve a two-year term. AAJ’s mission is to promote a fair and effective justice system, and to support the work of attorneys in their efforts to ensure that any person who is injured by the misconduct or negligence of others can obtain justice in America’s courtrooms. 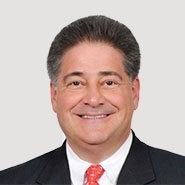 Mr. DiLiberto previously served as DTLA’s Legislative Committee Chairman and President. He served 10 years as a member of Delaware’s House of Representatives, from 1992 to 2002. He is currently a member of the Governor’s Magistrate Screening Committee, and chairman of Young Conaway’s Paralegal Committee. He is an adjunct professor at Widener University School of Law’s Intensive Trial Advocacy Program.